To all "Game of Thrones" fans who were dejected by the delayed release of season 7: weep no more, because you are about to see Westeros from a whole new perspective. From April until June, there will be a pop-up exhibition in Singapore featuring sculptures from your favourite show on a fairly unique medium – pencils! 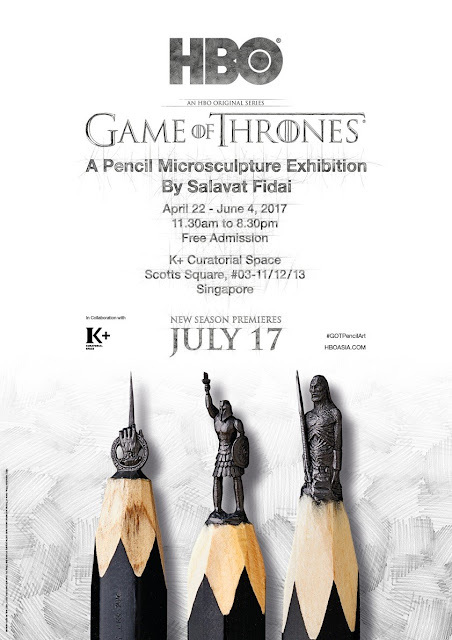 The Game of Thrones: A Pencil Microsculpture Exhibition presents sixteen "Game of Thrones"-based microsculptures created by the famed Russian artist and sculptor, Salavat Fidai. The sixteen pencils on display will be immediately recognizable to "Game of Thrones" die-hards. The microsculpture carvings include the Iron Throne, sigils from various houses, Cersei's new crown, the Three Eyed Raven, the Titan of Braavos, Brienne of Tarth's Oathkeeper, Jon Snow's Long Claw and many more! 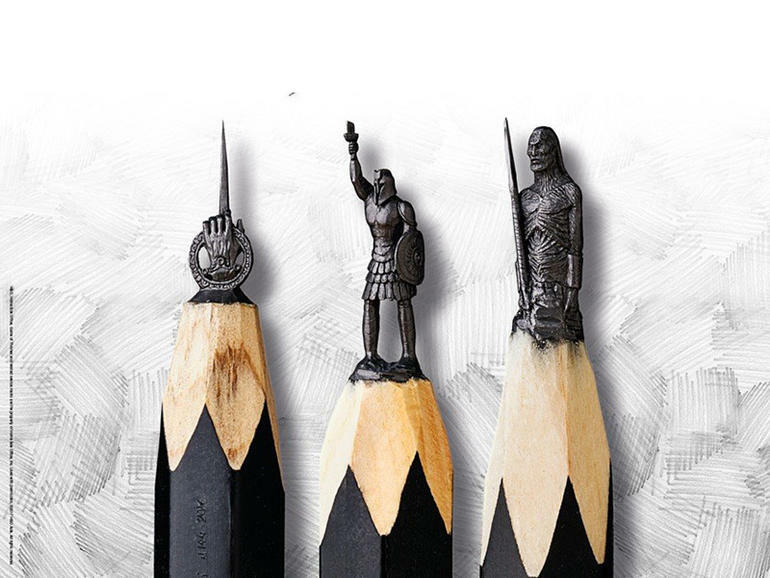 Salavat Fidai is an expert in the field of miniature sculpture. He uses a craft knife and a 4x magnifying glass to create small but detailed and intricate sculptures out of the tips of lead pencils with diameter from 5mm to as small as 2mm. So, rest assured that the "Game of Thrones" sculptures created by his hands will be nothing short of marvellous. While admission for the exhibition is free, it only happens for a limited amount of time, between 22 April until 4 June 2017 from 11.30 am to 8.30pm at K+ Curatorial Space at Scots Square, Singapore. In other words, just in time for the Game of Thrones season 7 premiere on 17 July.